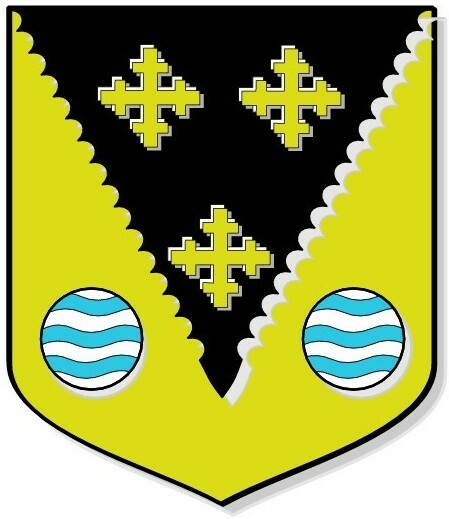 Why did bishop Samuel not use the new Hallifax arms? (b) The descendants of the late Robert Hallifax of Mansfield, his distant cousin. 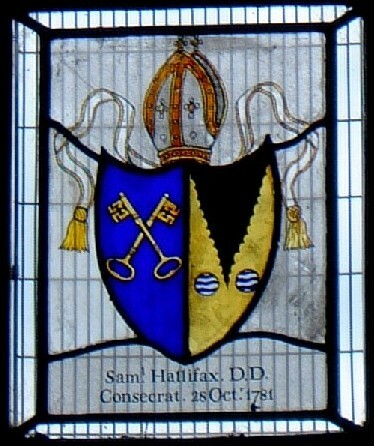 It may be that the bishop had this window made before the new arms were granted in 1788. If that is so, he had no grounds that I can see for borrowing those arms as I have never seen a suggestion that he was descended from the Robert Hallyfax to whom they were granted. Perhaps he was not the only person who was aware that they had borrowed these old arms. It is referred to in the grant to John Hallifax of Kenilworth which includes "that the Armorial ensigns borne by him and his Ancestors not having been duly recorded to his family and unwilling to continue the use of them without lawful authority". Why I then wonder was John Hallifax bothering about this? 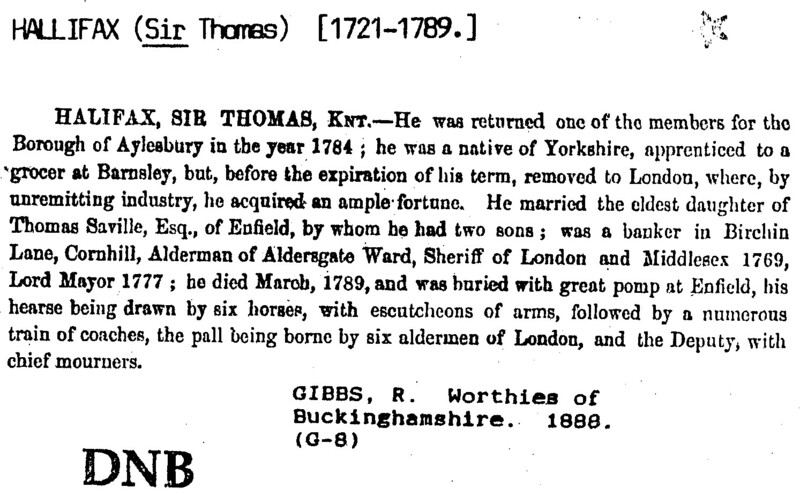 He had no children and the heralds were harldy going to bother about this for a small town chap in Warwickshire. The answer must surely lie in his brother Sir Thomas Hallifax who had served as Lord Mayor of London in 1777 a few years prior to the grant of 1788. Perhaps one or two people had drawn attention to his display of arms and that they were not his. Further he had some children who would inherit any arms that he had. 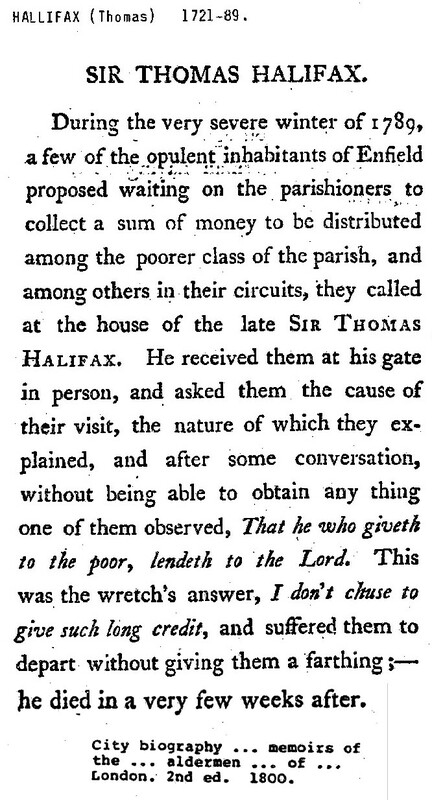 So I wonder if he might not have financed his elder brother in this appeal to the heralds and even joined in his cousin the Physician to keep him quiet. Returning to the bishop, before the grant he was using arms to which he was not entitled and after the grant he should really have replaced that window in the Rectory. I don't believe he would not have known what he was doing.